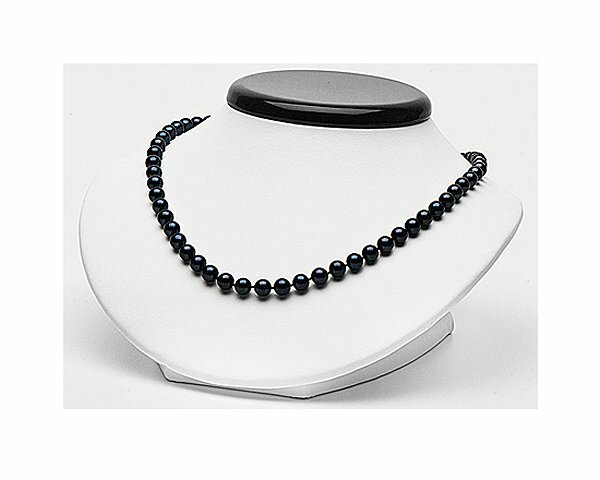 Favorable pearl necklace of selectraders: This favorable pearl necklace consists of dark akoya pearls and has got a length of approximately 40 cm. The clasp is composed of 585 white gold. The pearl necklace runs smoothly from 6.0 to 6.5 mm. 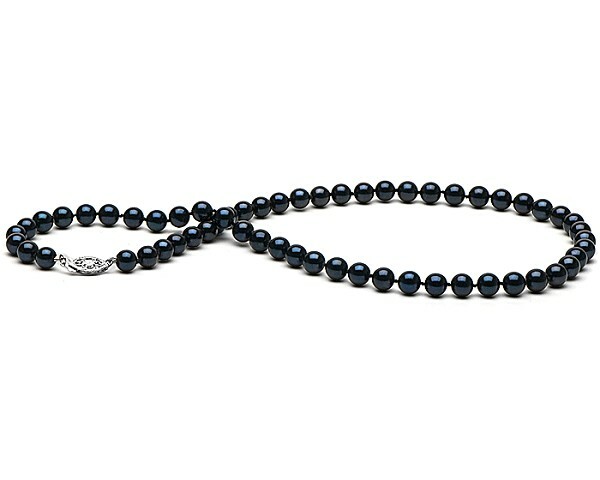 The body color of the pearls is dark grey-anthracite, with an overtone shimmering in blue-green. Through the meanwhile refined breeding method of the akoya pearls it is possible to produce a favorable pearl necklace with constantly high quality. 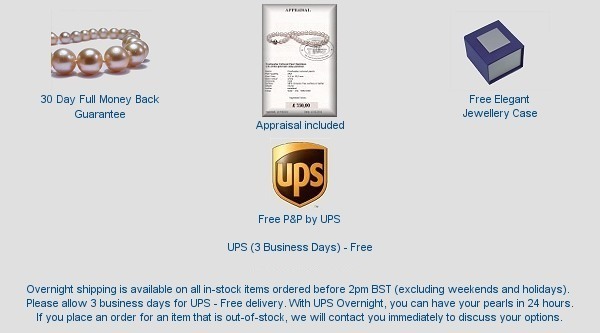 At selectraders you buy this favorable necklaces without middleman – furthermore you have got a 30 day money back guarantee without specifying any reasons. All the details of your favorable pearl necklace are specified below the illustrations. Selectraders customers receive a pearl certificate, customised for the individual piece of jewellery. It describes all features of your favorable pearl necklace. We specify in detail: type of pearls, quality, shape, size, colour and shades, as well as diamonds and precious metal used. Each customer will receice all necessary information about the chosen piece of jewellery. Therefore, Selectraders customers become pearl lovers and pearl experts. Many vendors specialise in pearl necklaces of lower quality and price - easily identified, since these pearls show irregular shapes and imperfect surfaces. Selectraders emphasizes on offering nearly perfect, immaculate pearls. These pearls are hard to find - only 1-5% of one entire harvest meet the standards required. Our customers acquire top quality at unbeatable prices. Unlike the common jewellery trade, we source our pearls from our own pearl farm and purchase excellent quality from other pearl farmers directly. Therefore, we eliminate intermediary trade, which enables our customers to save 300% or even 500% (Favorable pearl necklace - retail price: £300). Selectraders customers benefit from these price differences. Since our customers are satisfied with their purchase, 30 % of them recommend Selectraders to friends and family. Happy customers are our best advertisement.